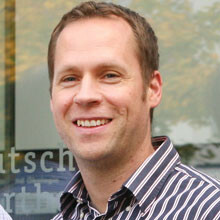 Swen Körner is a Full Professor at the German Sports University Cologne. After winning the German Study Award, Swen finished his PhD thesis on social crisis communication about juvenile obesity at Technical University Darmstadt (2008). From 2009 to 2011, Swen has been working as a Professor for sociology and sport pedagogy at the University of Hildesheim. Since 2011 he is head of the Institute of Pedagogy and Philosophy at the German Sports University Cologne. Current research topics are nonlinear pedagogy, training pedagogy, network analysis and social system dynamics. Swen is the head of several ministry funded research projects and has been a member of the Advisory Council of the German Federal Institute for Sports Science for many years. His research has been covered by national and international media (eg ZDF, ARTE, Deutschlandradio, Frankfurter Allgemeine Zeitung, Focus, Stern). Swen is a passionate martial artist and Krav Maga and Wing Chun Self-Defense Instructor. He has been a long-time member of the German Fullcontact Taekwondo National Team (German Champion, European Cup silver medalist). Swen ist heading an Academy for Martial Arts and Self Defense near Cologne.